As of now, almost every single person is aware of the importance of energy efficient homes. If you are also in search of one, which could provide you with the much coveted peace and comfort, energy efficiency, and that is a weather resistant dwelling, you must consider the earth sheltered homes. 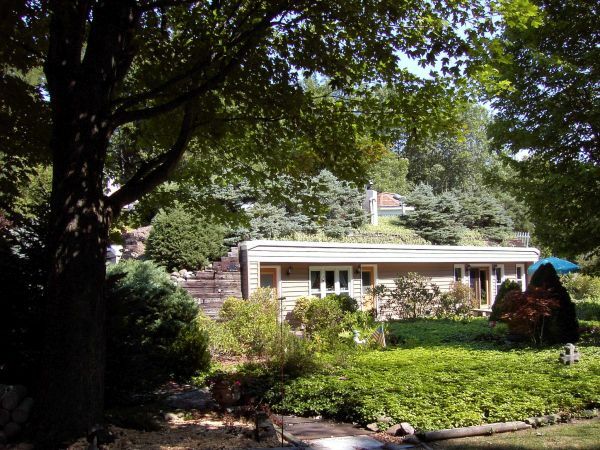 An above grade or partially below grade home that has one or more walls covered with earth is a Bermed house. 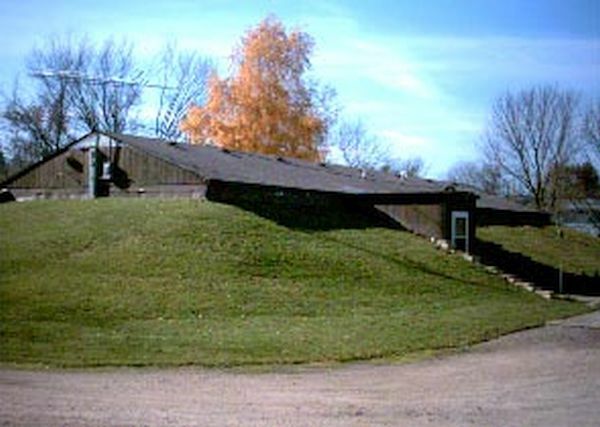 Usually, except for the face of these homes, the other sides and even roof are covered with earth to insulate it well. The exposed face of the house faces south, it receives a good deal of sunlight that heats up the house and illuminates it during daytime. The floor plan is designed in a way that the bedrooms and some common areas get enough natural light and heat. As far as the northern portion of the house is concerned, strategically placed skylights allow adequate ventilation to take place and also let some daylight in. The penetrational bermed house design has the entire house covered with earth, except for the windows and doors. These houses are built at the ground level and then earth is bermed around them. 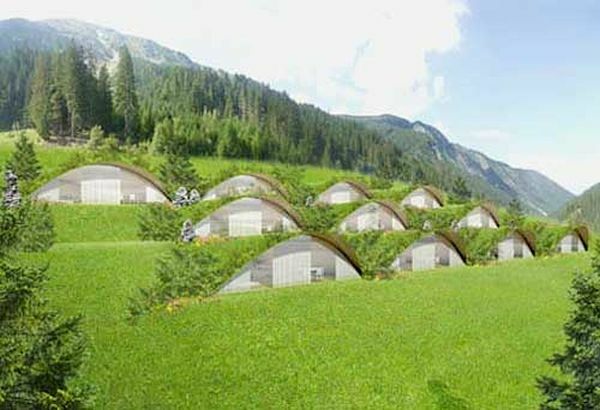 These homes are entirely built underground on a flat site. These houses have an atrium or outdoor courtyard, the glass doors and the windows on an exposed wall face it. The stairway from the ground level leads one to the courtyard, and this design lets light and solar heat in, and allows people inside to enjoy outside views. People cannot see the courtyard while they are in the ground level, and it goes for the people standing in the courtyard. This feature makes underground earth sheltered homes too good in terms of privacy, and it also prevents winter winds from entering the home. One must give special care and attention to the designing of such homes, as one need to consider issues like snow removal and courtyard drainage beforehand, and the placement of windows and doors so that the house receives ample of sunshine. Construction material choice for earth-sheltered homes depends greatly upon the type of design you want to create and the nature of site. However, any material you choose has to have some great weatherproofing and insulation properties. These qualities are important because then only the materials will be able to withstand the moisture and pressure of the surrounding ground. Wood is used in earth-sheltered homes for both interior and structural work (exterior walls, floors, and roof). Wood looks lovely in homes owing to its color and warmth but not many people are able to use in homes now because of its increasing costs. Besides the expensive nature of wood, its labor costs are also high, especially if you compare it to a number of other building materials. Concrete is strong, durable and fire resistant, which is why it is the most common choice of many people building earth-sheltered homes. Steel also plays an integral role in earth-sheltered building, as it is used in columns, beams, and in bar joists because of its compressional strength. Bricks and stones (masonry) are used in the walls. Steel bars reinforce masonry, especially in the high stress areas, including the weight bearing walls. Earth-sheltered homes offer an energy efficient structure that works in interest if both the inhabitants and the environment. Besides being energy efficient, those homes are quiet, dry, bright and well ventilated as well.